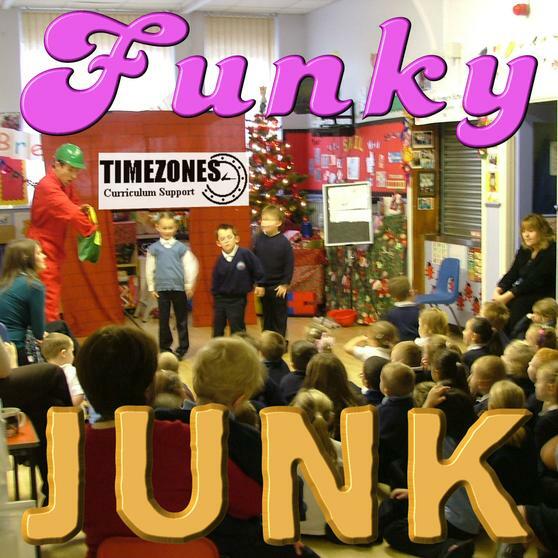 On the 5 December the Infants had a really exciting performance from Timezones called "Funky Junk". 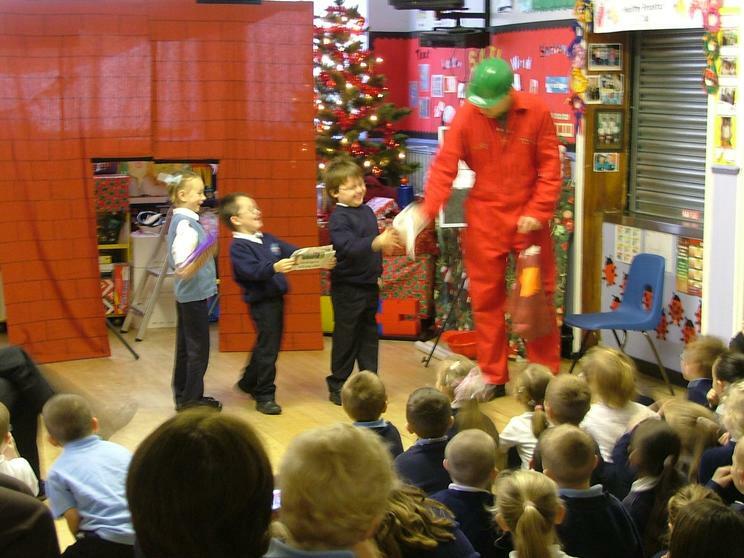 The children had to help Bert save the planet by recycling all manner of goods. 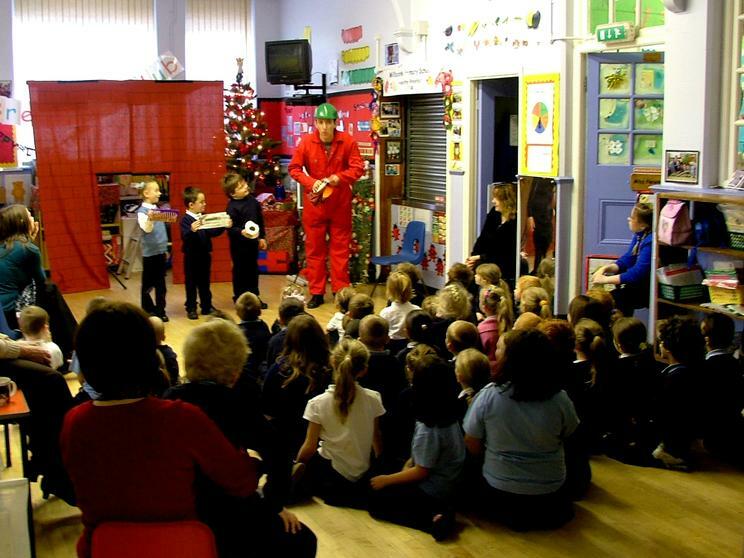 They use there existing knowledge of materials to think about whether products can be reused or recycled and what category the products go in. 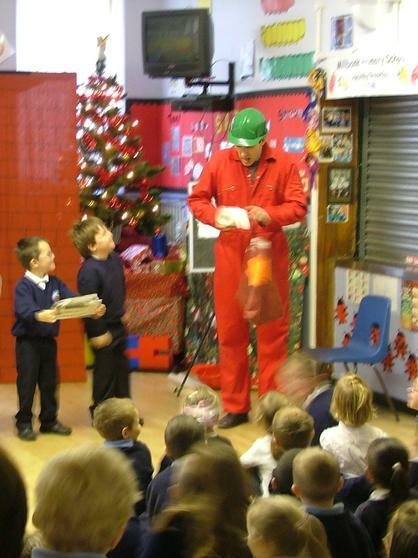 Is a cardboard a metal, glass, paper or plastic? 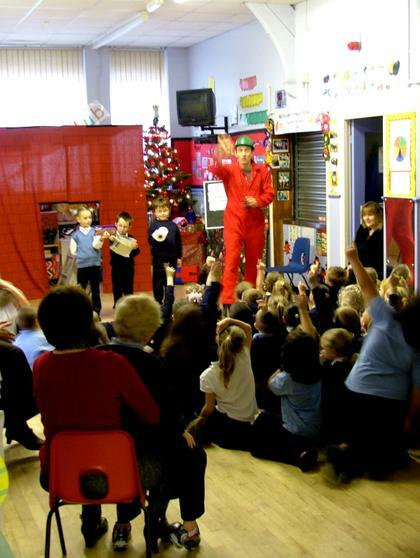 We have a small video clip about 7Mb(as a .wme or Windows media file) It is not great but will show you the fun the children had learning about recycling. Just click on the laptop to watch it.